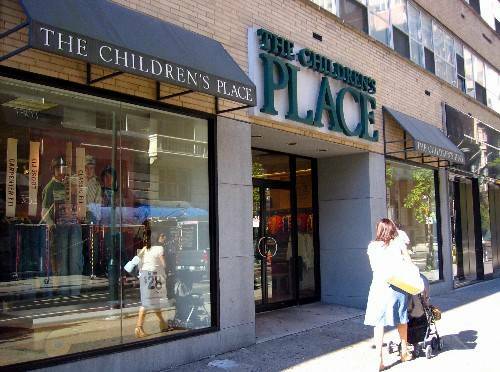 A good friend of mine who recently travelled to the USA went shopping and passed by a shop called “The Children’s Place“. Obviously, it’s a shop where they are selling clothes for children. Ati? Where has this been made in Kenya? And are these clothes for sale in Kenya as well? 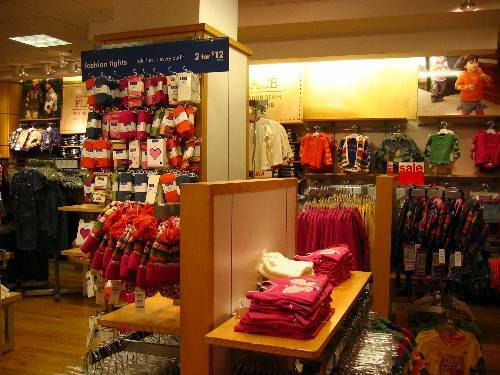 Thanks to AGOA, there are lots of clothing in the US made in Kenya. My favorite pants (ooooooops, trousers), Dockers come with a made in Kenya label. They are made at EPZ in Athi River. 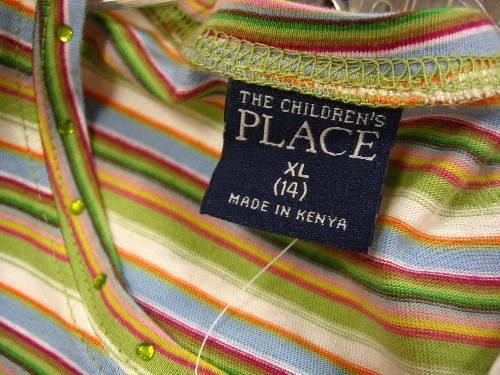 I have a capri by Gloria Vanderbilt made in Kenya! I wonder how much they pay wages to those workers at Export Processing Zone? and also the working conditions etc. That stuff at EPZ is for export. I have not seen any of it sold locally. YES, you are 100% correct on this one. It’s the store in Philadelphia!